After a few days of feeling congested during your pregnancy with no other symptoms, you might realize that your stuffy nose is not going away any time soon. Congestion during pregnancy is common and it affects one in every three women. It is completely unrelated to allergies or viral illness. It’s known as pregnancy-induced rhinitis, and it usually comes on the strongest in the last six weeks of gestation. It can even start within the first few weeks of pregnancy for some unlucky women. The congestion is most often accompanied by symptoms such as a runny nose, headaches, sneezing or coughing, and uncomfortable sinus pressure. Since the source of the problem is physiological and not illness-related, removing allergens won’t solve it. There are a few possible causes for rhinitis that comes on during pregnancy. One likely cause is the increased level of hormones. Larger amounts of estrogen and progesterone could cause swelling of the nasal cavity, which could give you the sensation of congestion. Another possible cause of congestion during pregnancy is increased blood volume. The veins in the nasal cavity are small, so they could easily swell when more blood starts pumping through them. 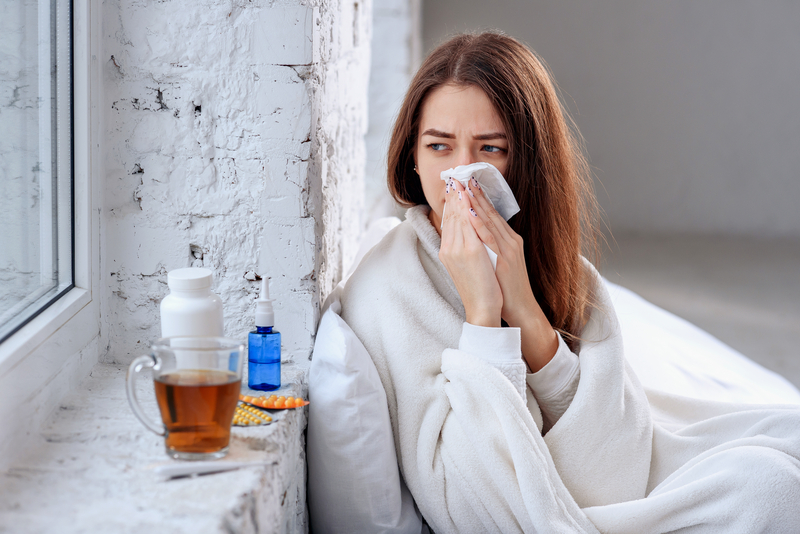 Unfortunately, the symptoms and swelling associated with pregnancy-induced rhinitis won’t fully go away until after you’ve given birth and your body returns to its normal state. Usually, you can expect this to happen two weeks after delivery. Until the baby is born, try opening your nasal passageways naturally with hot showers or heat masks. While the symptoms will probably return soon after you remove the heat source, the temporary relief could help you relax. You should also try using a humidifier or vaporizer to increase the moisture in the air. Since the source of the problem is physiological and not illness-related, removing allergens won’t solve it. However, doing so could make breathing through the constricted airways easier. If you’re really struggling with congestion, ask your doctor about medicinal solutions. Many studies show that women should avoid nasal decongestants during their pregnancy, but others show that it’s safe. Your doctor might be able to recommend a low dose of a safe option to provide you with relief. A saline nasal rinse might also help if you use a neti pot. This is a safe and non-invasive way to reduce symptoms, and neti pots can be purchased at most pharmacies. Is It Safe To Nexium While Pregnant?